D1 Age limit is reckoned as on 31st August in the year prior to the Festival and will be strictly observed. D2 The Festival is not liable for any copyright infringement caused by CD recordings supplied by the performer. D3 The Festival requires music on CD. There should be a single recording on the media. Music to be played by officials only. The quality of recording will be taken into account. It is advisable to have a back up CD. D4 A Performer may not perform the same Dance in more than one Class. D6 In the Groups all performers must be on the stage and active during the major portion of the dance. D7 Performers may not dance more than once in any Solo Class. In Duets a performer may only enter one Classical and one Cabaret Class, and likewise in Trio Classes. D8 No School may enter more than 3 groups in the Group Classes, and a group must consist of at least 5 persons. D9 Performers may NOT TRANSFER to another Class without prior permission from the Festival Office. D10 Cabaret Solos, Duets, Trios and groups may include song but should not include vocal on the backing track. D11 In Tap Classes “standard” taps (single sounds) only must be used. D12 Tape Recording, Video Filming and Photographing of Classes are NOT ALLOWED. D13 Pointe work is not permitted for any performer under 13 years of age. D14 Performers will be allowed to re-dance but will not be eligible for first, second or third place. 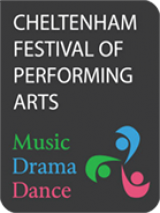 D15 Individuals shall not be eligible to perform at the Festival if they have changed dancing schools since 1st September in the year prior to the Festival. Note: This rule is in place to allow sufficient time, after an individual has moved to a new dance school, for the dancer’s performance to be appropriately developed by the new teacher, thereby safeguarding the dancer’s physical and psychological wellbeing. D16 Individuals attending full time vocational dance schools are not eligible to enter. D17 A Novice is a performer who has not gained 1st, 2nd or 3rd place in any solo section at a comparable Festival. Song is NOT allowed in the Novice Section. D18 Classes may be split or combined based on the number of entries. D19 The Festival reserves the right to run up to 15 minutes early for any class.